#101. 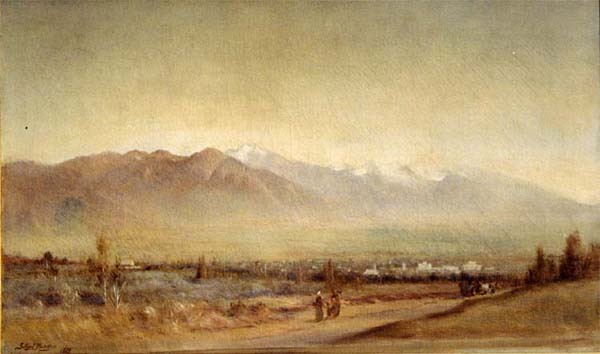 Salt Lake City with Wasatch Range. 26 x 45, oil on canvas, relined with new stretcher. "Gilbert Munger 1870" lower left. 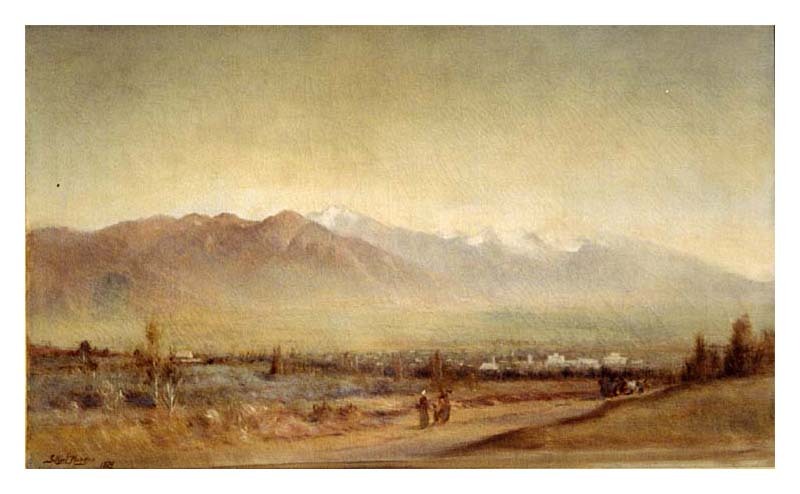 This painting appears to show Salt Lake City from just to the northwest. It has an uncharacteristically loose brush work for the indicated date. From Munger's estate to friend James Cresap Sprigg. Sold by the family at O'Neills Auction Co., Forest Hill MD, estate sale on 29 May 1999 for $27,000 + 10%. Image from author's photo.